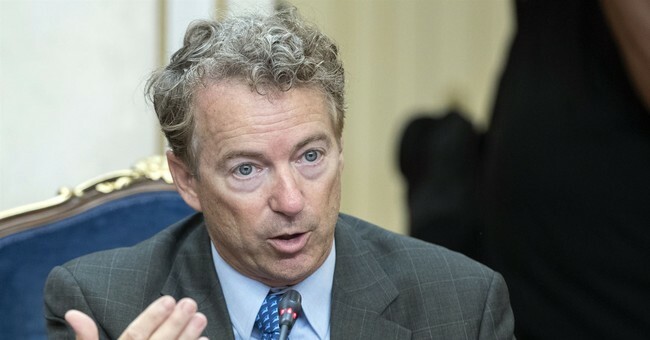 On Wednesday morning, Sen. Rand Paul (R-KY) shared a shocking new detail about last year's attack at the Republican congressional baseball practice. When the shooter, James Hodgkinson, began firing on the lawmakers, he reportedly shouted, "This is for health care!" Some wondered why the media had not included this detail in their reporting at the time. Rep. Steve Scalise (R-LA) was shot in the hip that morning. We almost lost him. But, after months of surgeries and recovery, he was able to walk himself into the Senate last September, to a round of applause. Unfortunately, a year after that horrific shooting, some leading officials are inciting violence against their political opponents. Rep. Maxine Waters (D-CA) told supporters to "harass" Trump administration officials in public. Some seemingly listened and proceeded to bully White House Press Secretary Sarah Huckabee Sanders out of restaurants. Former presidential candidate Hillary Clinton told CNN that people should be uncivil to Republicans because they deserve it. Then, just this Wednesday, former Attorney General Eric Holder told a crowd to "kick" Republicans. Sen. Paul worries that if things don't change, someone is going to get killed. His wife Kelley shared that she is so distraught by the current state of politics that she sleeps with a loaded gun by her bed.